Dissection of a Male Torso Journal. 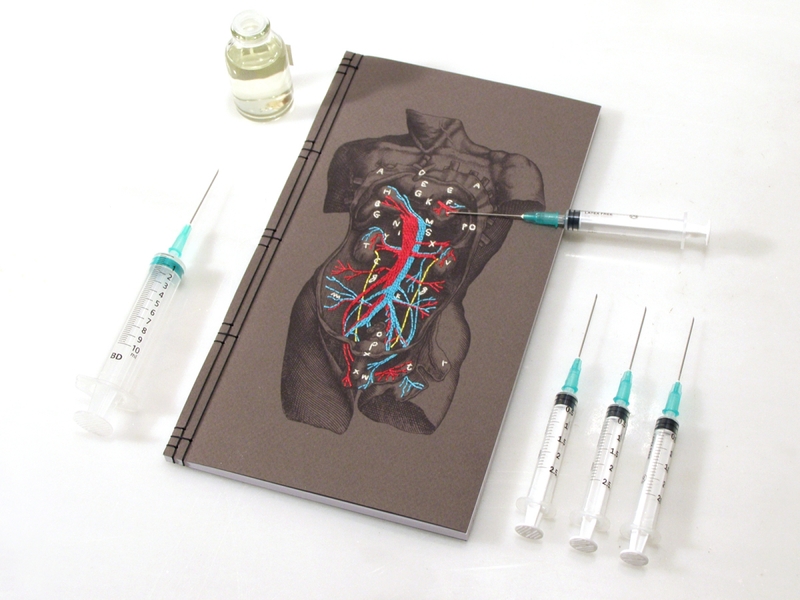 Embroidered Anatomical Art Notebook. 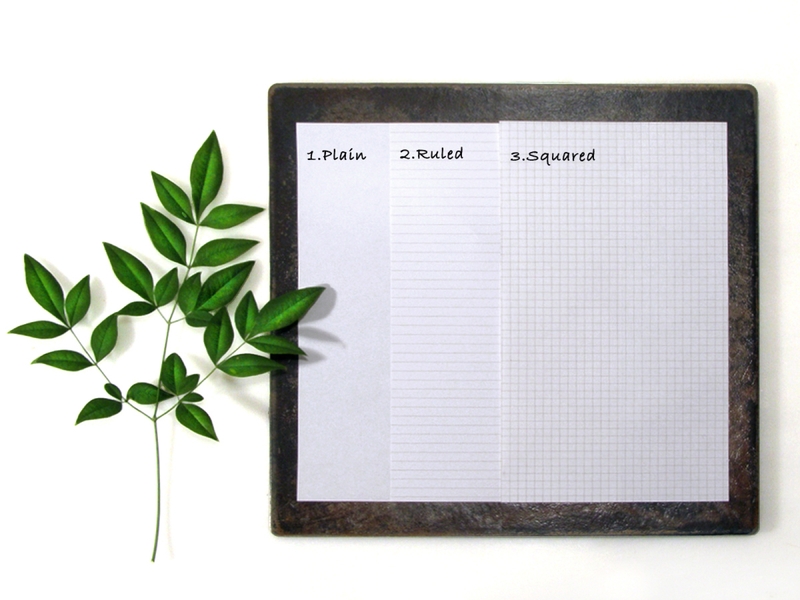 A Japanese-style notebook made by using a traditional stab binding technique. 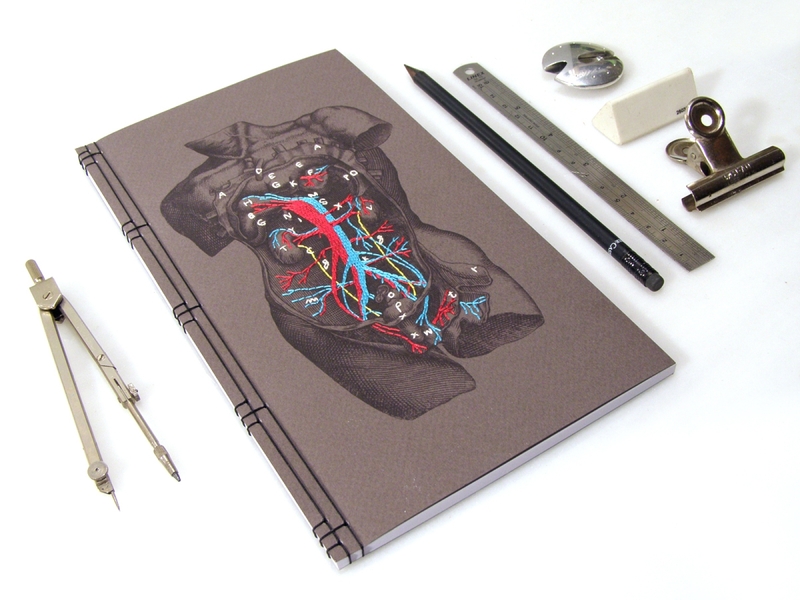 Front cover of a brown card stock, with a vintage Anatomical print, showing a Dissection of a Male Torso, hand embroidered in great detail, with red, turquoise, white and yellow cotton threads. 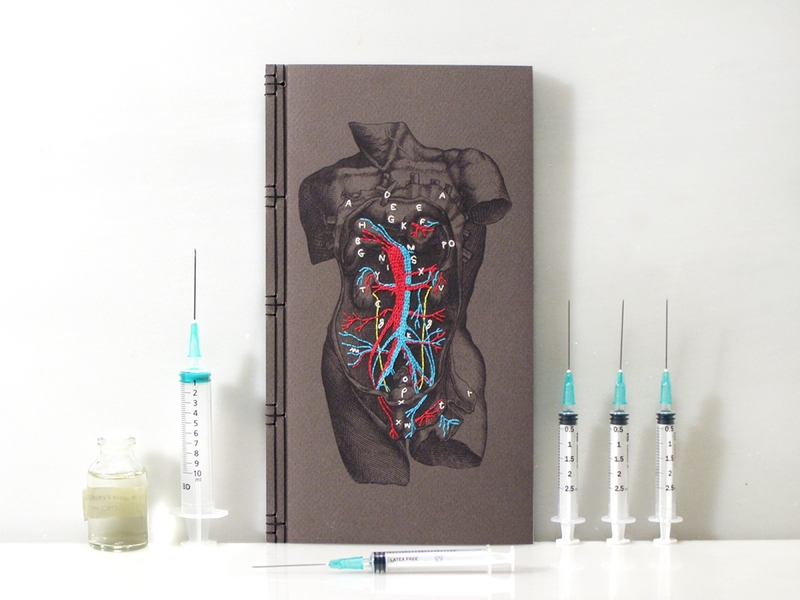 This Anatomy design reminds me the pictures of Saint Sebastian and his torture. 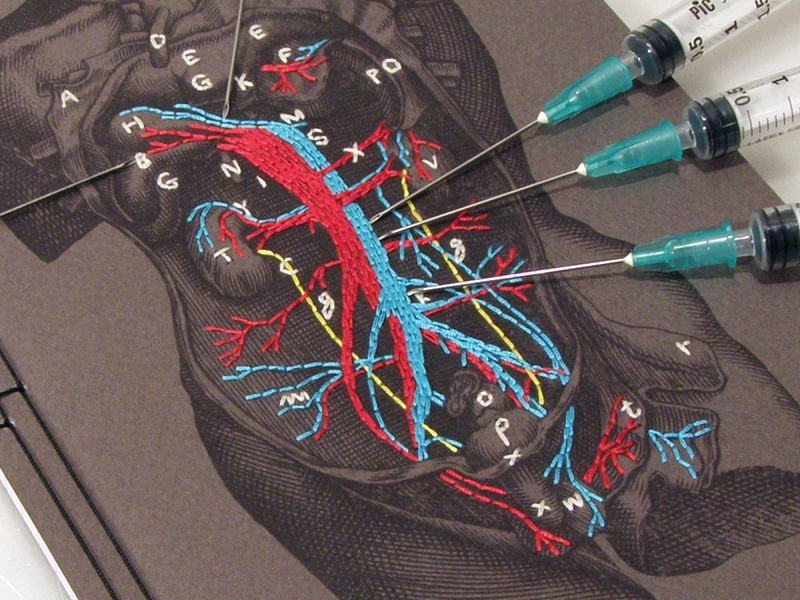 The needles on the photos take the place of the sewing needles that I use for the embroidery and those, the place of the arrows on the body of the Saint. A dark art journal for your thoughts.